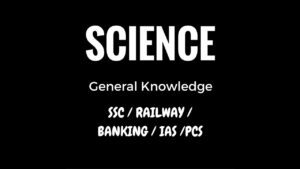 Physics related questions and answers Part 2 And Physics questions and quizzes, quiz on Physics, important Physics, important Physics and questions, general knowledge questions and answers related to general science And physics general knowledge objective questions answers mcq are important in like RAS, IAS, UPSC, RPSC, 1st, 2nd, 3rd Grade Teacher, REET CTET, LDC, SSC CGL, IBPS, MBA, CAT, MAT, SBI-PO, RBI And Railway, Indian Army And all competitive Exams. Question (1) Which substance can not be used for lenses? कौन-सा पदार्थ लेंस के लिए प्रयुक्त नहीं किया जा सकता है? Question (2) What is convex lens have the potential? उत्तल लेंस की क्षमता होती है? Question (3) What is the capacity of the lens to be the S.I number? लेंस की क्षमता का S.I मात्रक होता है? Question (4) Why the depth of the bucket full of water look less? पानी से भरी बाल्टी की गहराई कम दिखती है? Question (5) Why does the stick stained with water look scaly? पानी में डाली हुई छड़ी टेढ़ी क्यों दिखती है? Question (6) What is the width of the mirror called? दर्पण की चौड़ाई को कहा जाता है? Question (7) Which is used in solar cookers? सोलर कूकर में प्रयोग किये जाते हैं? Question (8) What is Doctors use to check the nose, ears, throat etc. of patients? रोगियों के नाक, कान, गले आदि की जाँच के लिए डॉक्‍टर प्रयोग करते है? Question (9) What is the refractive index of diamond? Question (10) What is the car parked in front of the driver? मोटरगाड़ी के चालक के सामने लगा रहता है?